Born in 1966 in New York, Marco Beltrami began his musical career by taking piano lessons at a young age. He slowly began to make up his own music, or change the pieces he was supposed to be practicing. He found his way into various rock bands in high school playing keyboard. Instead of following his musical path, Beltrami entered Brown University to study urban planning. While at Brown, Beltrami began experimenting with the school's electronic music studio and discovering all the techniques available with the 1980's synthesizers. His compositions at the time were a combination of electronic styles and the 'traditional orchestra'. After graduating from Brown, Beltrami traveled to Venice, Italy and studied with Luigi Nono, a prominent avant-garde composer. In 1993, he won the Charles Ives Prize from the American Academy of Arts and Letters. With that, he returned to the US and entered Yale University, writing concert works as a classical composer. In 1992, Beltrami swapped coasts, and began a fellowship at University of Southern California (USC) with legendary composer Jerry Goldsmith. His first glimpses of the film scoring business came with Goldsmith, as he learned the craft and artistry of the medium. At the same time, Beltrami composed several commissions for various orchestras throughout the country. He also started getting film work, including the short The Bicyclist (1995), cheap thrillers Death Match (1994) and The Whispering (1995). He also worked on the television series Land's End (1995), composing the main titles and score. In 1996, Beltrami's big break happened with Scream (1996). Asked by director Wes Craven to score the opening scene, his take eventually led him to score the entire film. Using his 20th century orchestral techniques, his music fit with the horror genre. The film also led to larger films, many in the thriller/horror genres like Mimic (1997) the first with director Guillermo Del Toro, Scream 2 (1997) which featured tracked music by Danny Elfman and Hans Zimmer and adding music to Halloween H20: 20 Years Later (1998). This same streak also led to him scoring The Faculty (1998). Expanding his horizons, Beltrami scored the TV movie David and Lisa (1998), and was nominated for an Emmy award. The next year, he also scored the TV movie Tuesdays with Morrie (1999). In 2000, he also began composing music for the series The Practice, scoring 85 episodes from 2000 to 2004. It was his thriller scores that provided more opportunities, scoring films like The Crow: Salvation (2000), Craven-produced Dracula 2000 (2000), The Watcher (2000), the obligatory sequel Scream 3 (2000), which featured a more experimental orchestral sound and even a throwback to Zimmer's tracked music from the previous installment. With Resident Evil (2002), rocker Marilyn Manson added to the electronic-heavy score. For the action/sci-fi Blade II (2002), Beltrami reunited with director Guillermo Del Toro. Working with producer/writer Kevin Williamson, Beltrami scored his television series Glory Days, a short-lived thriller in 2002. He also returned with a massive orchestra for the percussion-led Terminator 3: Rise of the Machines (2003). He exercised more of his blockbuster chops with I, Robot (2004), which featured some great action writing, and Flight of the Phoenix (2004). It was Hellboy (2004) - another collaboration with Del Toro that Beltrami hit the scene with one of his best scores. 2005 saw the Wes Craven films Cursed (2005) and Red Eye (2005), and expanding his horizons with the western The Three Burials of Melquiades Estrada (2005), directed by actor Tommy Lee Jones. Taking over the series from composer Paul Haslinger, Beltrami composed the score to Underworld: Evolution (2006) with solid rhythms and plenty of synthesized sounds. For the remake of The Omen (2006), Beltrami reworked a few selections of the original 1976 Jerry Goldsmith score. With Live Free or Die Hard (2007), he used more intense rhythms and blaring brass into another blockbuster action score. On the flip side, his score to James Mangold's 3:10 to Yuma (2007), evoked another western atmosphere. This top score gave Beltrami his first Oscar nomination. 2008 saw a wider variety of styles, having moved further from his horror roots. 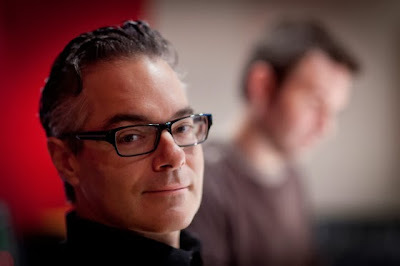 With director John Moore (previously working together on Flight of the Phoenix and The Omen) collaborated again with Beltrami on the action score Max Payne (2008). Another departure from his norm, was for the 2-part French film Mesrine: Killer Instinct (2008) and Mesrine: Public Enemy #1 (2008). Similar to 'Yuma', his minimal score to The Hurt Locker (2008) caught the critics attention and he shared an Oscar nomination with composer Buck Sanders. For Knowing (2009), Beltrami re-teamed with Alex Proyas, the director of I, Robot for a majestic fantasy/sci-fi score. Other scores around this time were Del Toro-produced Don't Be Afraid of the Dark (2010) and Jonah Hex (2010), scored with the band Mastodon. Again with Tommy Lee Jones in the director's chair, he scored the TV movie The Sunset Limited (2011). On the television front, Beltrami scored 22 episodes of the reboot series V from 2009-2011. Not a stranger to sequels and reboots, he returned for Scream 4 (2011) with Wes Craven again in the director's chair, and provided a dissonant horror score for The Thing (2011). Yet it was his moving and dramatic Hawaiian themed score to Soul Surfer (2011) that remains one of Beltrami's top recent achievements. 2012 saw the thriller The Woman in Black (2012), the very understated Trouble with the Curve (2012). 2013 was an even busier year, utilizing large orchestras with intense rhythms. There was the horror comedy Warm Bodies (2013), and the next Die Hard - A Good Day to Die Hard (2013) with director John Moore. Continuing his string of blockbusters, Beltrami's scores to World War Z (2013) and The Wolverine (2013) featured more ambient and dissonant sounds. Keeping close to the horror norms, Beltrami also scored the remake of Carrie (2013). Beltrami's future looks just a busy. Collaborating again with director Ole Bornedal, Beltrami is working on the Danish TV series 1864 for 2014. Future scores also include The Homesman (2014) with Tommy Lee Jones directing, and the adventure fantasy Seventh Son (2014). There may also be another Die Hard movie in the pipeline, and with Beltrami scoring the previous two installments, he may return yet again. Using his compositional background, the transition to film scoring fit nicely. His orchestral techniques fit into the thriller tropes, making him an ideal composer. Beltrami has also developed a knack for intense action writing, showing off in several action films. His sound is also defined by his collaborators - notably co-composers and producers Buck Sanders and Marcus Trumpp. While not all of Beltrami's scores have risen above the films, several have stood out as his top scores. He often provides a unique take on his films, no matter what the genre is, or even if it's a reboot/remake/or continuation of a franchise. Given his ability to compose several scores a year, there'll be lots more to listen to.